Intimidate the opposing team with a sold-out arena and your home team advantage when you print and post Hockey Badge Red Flyers before your next game. 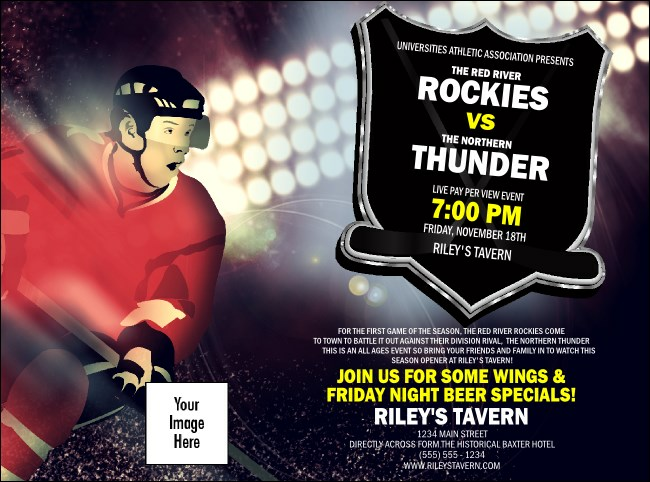 With pre-game advertising like this, you’ll keep the puck in the attacking zone and pack the stands with fans who love to watch your team win! Watch your business soar to new heights with Flyers from TicketPrinting.com!